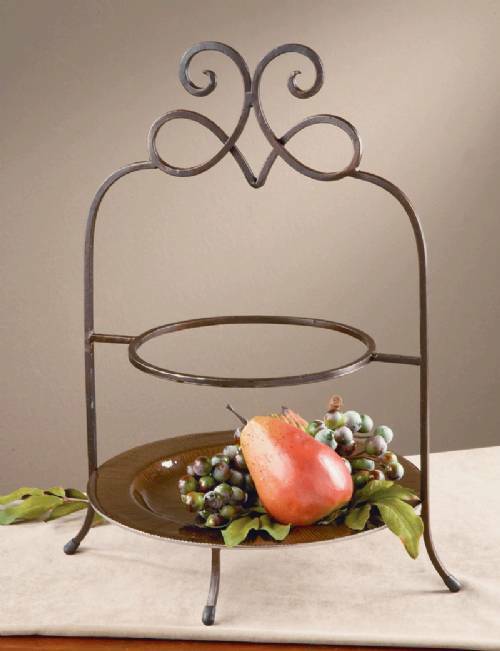 From our York Collection, this popular two tier stand is now available in a money saving set of 3! Perfect for showcasing for appetizers, finger foods and desserts at your next party - but it's so versatile, that it also looks wonderful decorating your kitchen counter while holding all of your fruits and vegetables on plates. Constructed of a square gauge metal in a black finish with brown highlights, it easily goes with any decor or theme. Each stand measures in at 17 1/4" high x 13 1/2" wide x 10" deep with a 7 1/2" diameter opening, and will hold plates sized 8 1/2" to 10 3/4"" in diameter.